One consistent thing about IT is that periodic updates/changes are inevitable. The Web as a digital content platform has grown very rapidly. HTML5 technology allows different types of content to be displayed on this platform. The Game is one of them. To display games on a website, now various technologies have been born and able to display games natively on the web. HTML5 was released with the ultimate goal of enhancing the internet experience for developers and users like you. As mentioned earlier, the greatest benefit of HTML5 is much more than its predecessor, one of which is having high-level audio and video support that is not part of the previous version specification in HTML. besides the advantages of html5 is the player can directly play the game without the need to install a particular plugin, thus speeding up the process to start playing. The player just needs to open a web address in the browser, and he can immediately start playing. Inevitably, this makes HTML5 an attractive platform for game developers to publish their work. 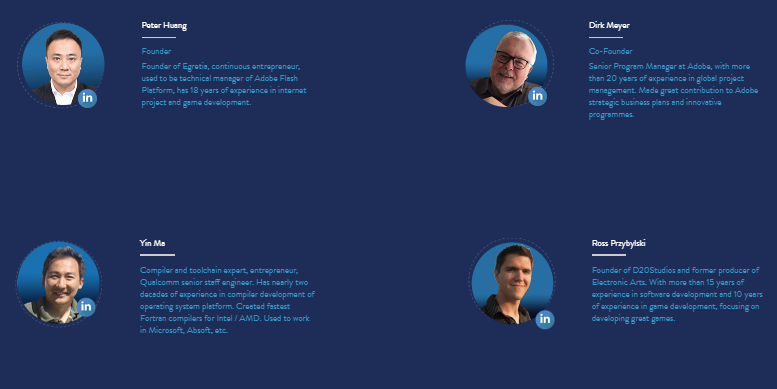 Egretia’s vision is As a cross-platform solution, HTML5 technology has been recognized globally. 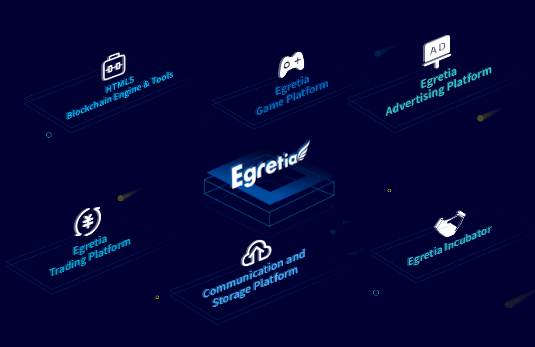 this includes internet, mobile games, video, advertising, and other industries, with the global market size of hundreds of billions of dollars and the Project is working with Egret Technology, the world-renowned global HTML5 technology service provider, organizes the Egretia Blockchain Lab, incorporating blockchain with HTML5 technology to create the world’s first HTML5 blockchain engine platform, which aims to implement blockchain into the vertical industry. By combining HTML5 and Blockchain Technology, As time passes, developers will get many benefits from HTML5. 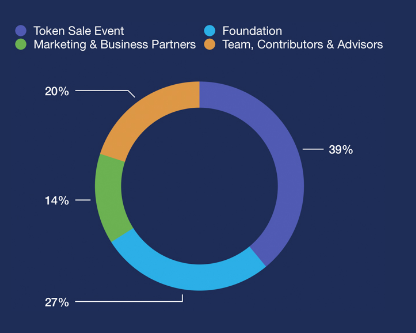 For that Egretia Platform comes with the birth of a superior platform and we believe through the Egretia platform, With a wave of change that is approaching developers around the world, HTML5 adoption is expected to increase in the coming years. The Blockchain is a term widely used to represent all new technologies. There are many opinions about the definition because the technology is early, and can be implemented in many ways depending on its purpose. The blockchain system comes by transforming a centralized approach into decentralization. In principle, blockchain technology conditions every server that runs this software form a network consensus automatically to mutually replicate transaction data and mutual verify existing data. Therefore, when one server suffered a hack, the server it can be ignored because it is considered to have data that is different from the majority of networks other servers. This makes blockchain technology much more powerful against attack compared to a centralized technology because there is always at least 1 server running for handle transactions. Blockchain technology allows network consensus to record and validate each transaction so that data already entered cannot be falsified, lost or damaged so it can not be manipulated by the network provider. besides the transaction using blockchain technology is done instantly, safely and efficiently. penetration in the HTML5 industry, which includes over 1 billion mobile devices and users. The Egretia platform will incorporate blockchain with the HTML5 Egret workflow. Using the token mechanism, each player will have a unique ID in the game supported by Egret Engine. This will build a strong foundation for a stable user complete ecosystem. 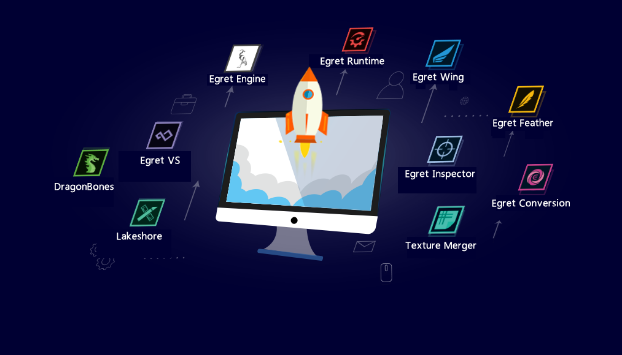 Egretia integrates Egret’s proven workflow into the blockchain interface layer, so all HTML5 games have access to the world’s first complete blockchain development sequence. 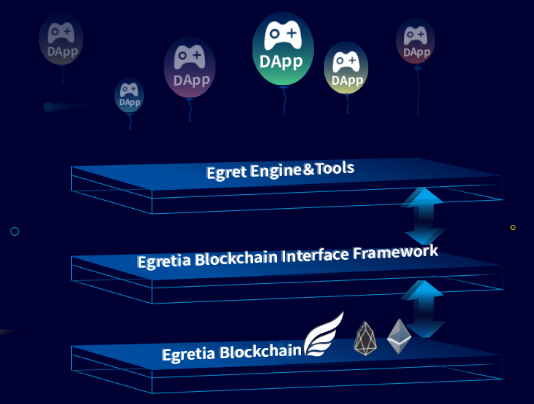 In addition, this interface framework, not only supports Egretia’s own public network but can also be expanded to support Ethereum, EOS and other future public chains. This project has a practical and far-reaching meaning because Users want to be able to access the website anytime and with any device. This is what makes the website responsive becomes more and more needed. HTML5 provides support for mobile devices with much simpler, so it can also run well on electronic devices such as tablets and smartphones. By combining HTML5 and Blockchain, As time passes, developers will get many benefits from HTML5. for that Egretia Platform comes with the birth of a superior platform and we believe through the Egretia platform, With a wave of change that is approaching developers around the world, HTML5 adoption is expected to increase in the coming years.